So I made a cookbook! Over the last 18 months I’ve been talking to a couple publishers about making a cookbook. A few years I started making a cookbook for myself but this became too much work, then there was talk about an illustrated cookbook but this last year I was contacted by Marshall Cavendish (add link) and I was asked if I wanted to make a cookbook about Taiwanese food. Absolutely I wanted to make a book! 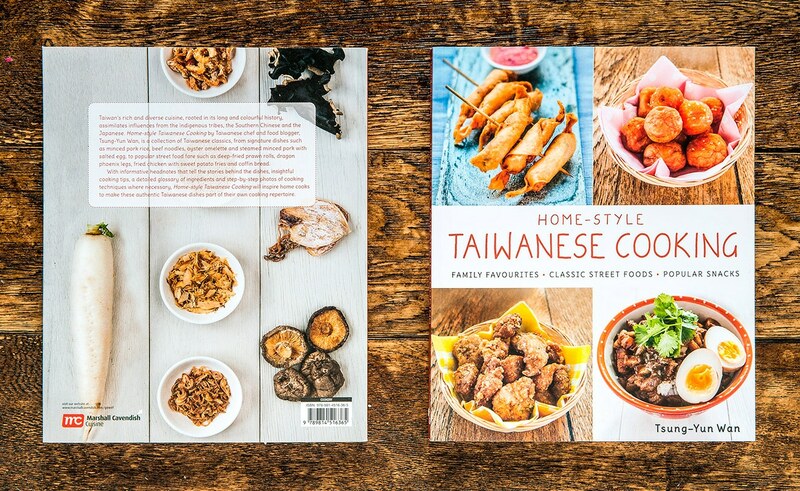 So after many emails, checking of terms and conditions and finally signing a contract we were given several months to produce recipes all about Home Style Taiwanese Cooking. Why Home Style Taiwanese Cooking? Just like China, there a millions of Taiwanese people living outside of Taiwan and just like many other people I found it really hard to find any decent with recipes from Taiwan. Going on from that it’s virtually impossible to find recipes that we often cook at home so with some help from my grandmother and mother I was able to compile 60 recipes for Taiwanese ex-pats. Making the book itself was bloody hard work. We had just three months to meet our deadline and with work, child, businesses etc (I’m very far from a stay at home mum / housewife) and it caused quite a bit of grief at home but three months later and many grey hairs the book is out. This really feels like a life achievement and I’ve told literally everyone I know multiple times about the book. So what happens next? Well, I’ve been busy promoting the book but I’ve also made some changes in my life recently. As you know I work as a chef but I’m really sick of working in that industry. I still absolutely love cooking for myself and my friends and family but I really can’t work under people in kitchens anymore. With this in mind I’m kind of not working, at least as a chef, and I’m busy furthering my career as an illustrator but I’ve also started cooking for my blog again.